If you are wondering what book to purchase with your Christmas gift card, may I modestly suggest mine? It is the uplifting and exciting story of the people who -- against considerable odds -- created the storm warning system that saves thousands of lives each year. 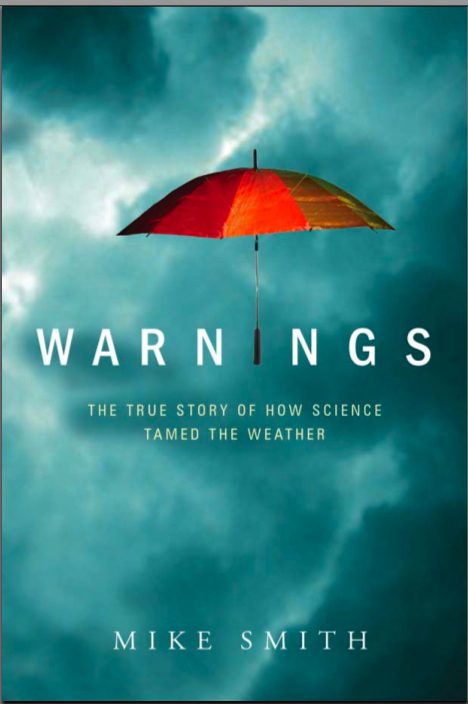 "'Warnings/ is very easy to read for the layman... The book is historical, accurate, and personal. I was hooked on the Introduction which primes the reader for the main event, or in this case, events to come...This is a fascinating book, full of suspense, telling it like it is, and a great learning experience without realizing just how much of what you read will stay with you. I highly recommend this book. "This account of people who do something about the weather should appeal to just about anyone who enjoys talking about it. Photos." "The weatherman's version of 'The Right Stuff.' I recommend it highly." It has a 5-star rating at both Amazon and Barnes & Noble. B&N is running a sale and the hardcover version is only $15.03! Check it out!